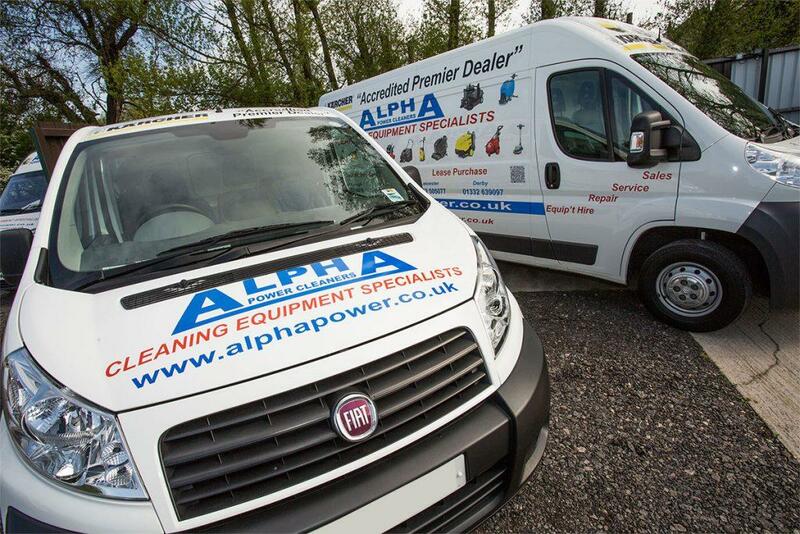 Alpha Power Cleaners have an expert team of engineers who specialise in the servicing of all industrial cleaning equipment and machines, including the maintenance of Kärcher equipment thanks to our status as an Accredited Kärcher Premier Dealer. We offer a wide range of services, including urgent repairs for cleaning equipment including Karcher Pressure Washer repair, Karcher Floor Scrubber repair, Karcher Scrubber Dryers repair and most other manufacturers equipment, including Cleanwell, Numatic, MAC, Hako, Tennant, Nilfisk, Comac and many others. We can provide a swift same day or next day response from our expert team, and servicing contracts that will keep your equipment in the best possible condition. Our highly trained and qualified team can quickly diagnose any problems, and provide cost effective repairs or maintenance services that will keep your cleaning equipment performing at its best and delivering exceptional results. We’re only a phone call away and we’re always happy to discuss your needs to ensure that you get the best servicing package to suit your requirements, and all at very competitive prices throughout Derby, Leicester, Nottingham, and the Midlands (see below for all the areas we cover).